Last year, Red Bull liked St. Paul so well as the site of Ice Cross Downhill World Championships (aka Crashed Ice), they’re coming back for a second year from Jan. 24-26. It’s a good thing, too, since St. Paul was hit hard by the NHL lockout. If a bunch of crazy hockey players/skaters can pull in big enough crowds to revive the local economy, more power to ‘em! Not that they need power, exactly, more like ‘more guts to ‘em!’ because this sport is not for the faint of heart. In technical terms, it’s 1,300 feet of man-made tracks and tubes and scaffolding winding down Cathedral Hill. Amateur and pro hockey players don’t simply skate down this ice course, they wildly careen. The very beginning of the course features a 48-foot-tall start ramp. Do you know how high that is?! That’s like a five-story building! Once they survive the start, they race down, four at a time, at speeds of up to 44 mph. Along the way, they conquer steep turns, vertical drops, and a double bump jump (or at least hope to conquer them. 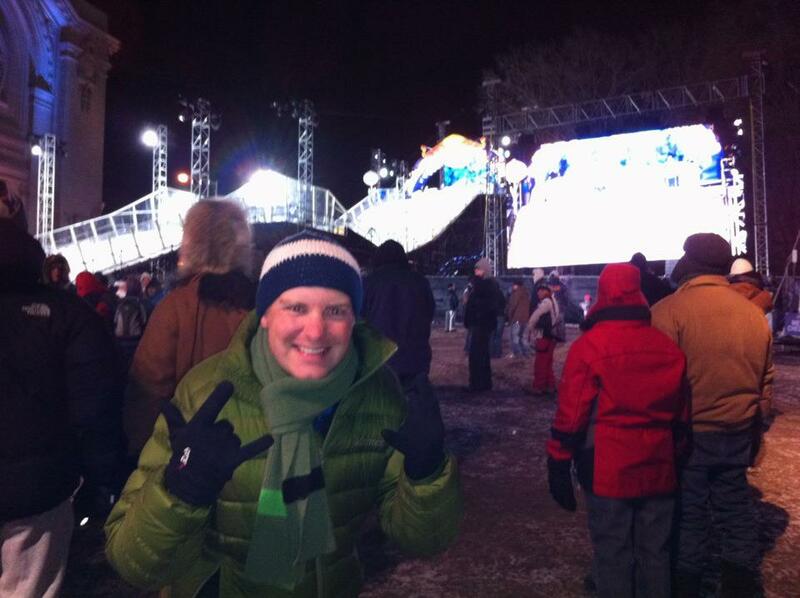 There is a reason, after all, that it’s called Crashed Ice). Right now as I type this story, skaters from around the world are training for Crashed Ice over on Tonka Bay. This is serious business. St. Paul is the first of five stops around the world, boasting one of the most challenging tracks in the series. I wouldn’t expect anything less. * Watch for hometown hero 2008 Lakeville South graduate and St. Cloud State student Cameron Naasz, who will be representing USA in the event. * It can get crowded, so either try to go early or find a spot near the Jumbotron. Plan ahead regarding parking, too. * If you can’t make it to St. Paul, watch the action streaming live on redbullcrashedice.com. * The official Red Bull Crashed Ice After Party—featuring live DJ performances from Get Cryphy, Rick Rude, and Lil Jon—will be held at the Myth Nightclub, 3090 Southlawn Dr., Maplewood from 9 p.m. to close. There will be a free shuttle bus on the corner of Kellogg and John Ireland boulevards. Pre-sale tickets are $15. * For a full schedule of events, visit the Red Bull Crashed Ice Guide.